The Abingdon Scottish Country Dance Club meets at 7:45pm to 10.00pm most Monday evenings in the Northcourt Centre, Northcourt Road OX14 1NS to learn and practise dances old and new. We are a friendly club and welcome beginners. Dress is casual but you do need soft, flat shoes. Come on your own – you won’t lack partners – or bring a friend. First night “taster” sessions are free, after that it’s only £4.00 a week, or £3.00 once you become a member of the club. Membership is £5.00 for the year. Once a term we hold a dance which is open to all dancers. In the Spring the dance is usually a Sunday Afternoon Tea Dance, with a fairly easy programme that less experienced dancers can enjoy. 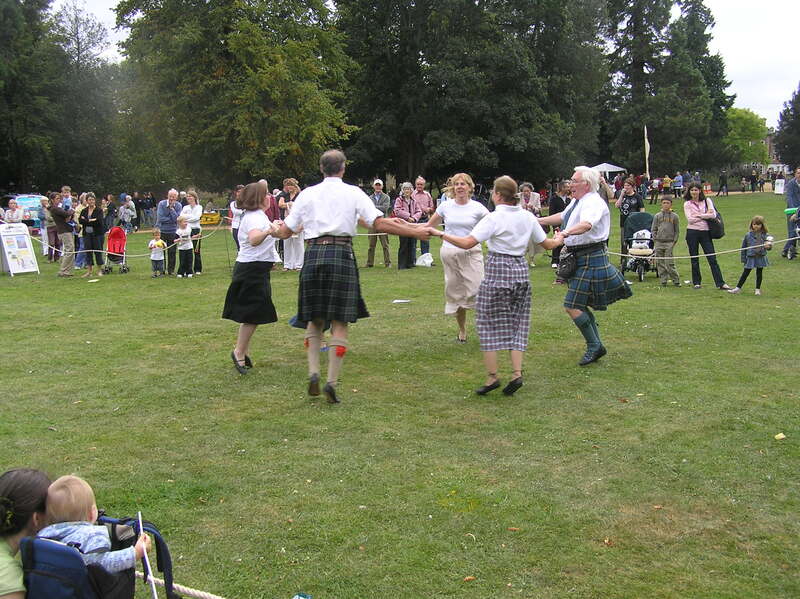 In the Summer we hold an evening dance, and once a year we take it in turns with the Harwell Scottish Country Dancing Club http://www.harwellscdc.mno.org.uk/ to host a ball.